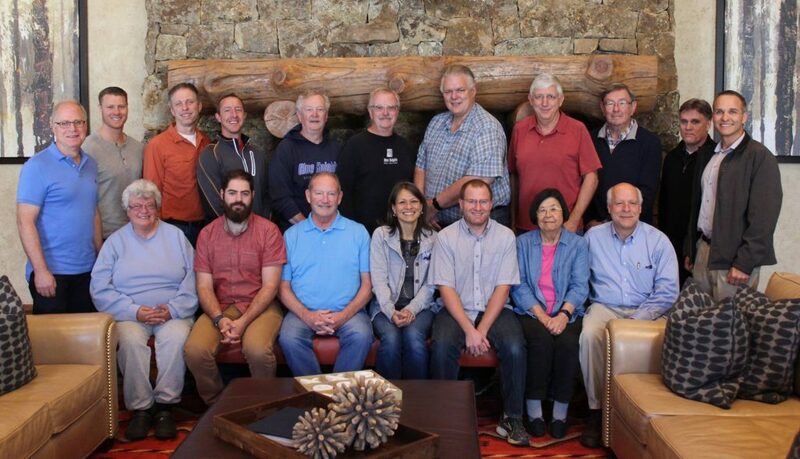 VAIL, CO – The Board of Directors and staff of Ascend Performing Arts spent the weekend of October 20th – 22nd reviewing the 2017 year and evaluating the organization’s progress in relation to it’s strategic plan for the future. The weekend was spent reviewing current offerings in Ascend 4 E’s: Educational programs (BKXperience Camps, Spark! Ideas Conference), Ensembles (Blue Knights Drum & Bugle Corps, Blue Knights Percussion Ensemble), Events (Drums Along the Rockies, Corps Encore, Friendship Cup), and Entertainment (Broncos Stampede & Broncos Brass, Blue Knights-Bahrain) and the financial plan currently in place to support the delivery of Ascend’s mission. Additionally, the focus was on examining potential ways to expand Ascend’s programs and improve upon the long-term financial stability of Ascend Performing Arts. New Board members were welcomed: Ken Adams, Janet Archibeque, Doug Kelley, and Dallas Martin. They join current Board members: Chair, Darrell Griffin; Vice Chair, Alex Factor; Treasurer, Scott Weidner; Secretary, Doug Kelley; and At-Large members: Jane Akdoruk, Brian Cocos, Scott Factor, and Chuck Murphy; and Advisory Board (non-voting) members: Gregory Andersen; Aaron Greco; George Lindstrom. The board was joined by Ascend Executive Director, Mark Arnold (Ex-Officio member); Director of Development, Thelma Fung (Ex-Officio member) and staff members Ascend Business Manager, Rosalie Danskin; Volunteer Coordinator & Database Manager, Keith Huffman; Assistant Blue Knights Drum & Bugle Corps Director, Jordan Helwerda; and Ascend Director of Operations, GM Kuzma.